I’m spending time in the learner pool it seems, gathering ideas, wisdom, energy, reading and listening to Morgana Rae on wealth health, Robert Anthony on the Law of Attraction, Carol Tuttle on the Chakras and the estimable Ortners on Tapping. A veritable shopping basket full of teachings for the spiritual seeker, ready to try almost anything. My critical faculty (I’m trained and educated to be critical in the sense of enquiry, not negative) is much exercised because most people I’m close to – and indeed vestigial parts of my cynical self – would like to dismiss all this as nothing but mumbo jumbo. But I know it ain’t. I know it means a great deal to a very great number of people, all of whom are prepared to pay for yet another arrow in their personal growth quiver. Whether it works or not doesn’t seem to matter that much. The money is paid, the DVD or book is on your shelves, see what you make of it. A theme I’m seeing in these and other teachings, some more responsible and reliable, others less so, is the part the body plays in consciousness. ‘Your body is more powerful than you can imagine… filled with life, energy, and a compelling ability for self-healing,’ says Nick Ortner. Which is all good; we know about the chakras, about Pran or Ch’i or whatever we are calling the Universal Life Force this week. But right here, as in other places on this blog, you will find the cautionary distinction between the strictly spiritual energy of the non-physical Soul, and the subtle physical energy of Pran, Ch’i, the Meridians. The task is to refine our understanding of how the body works, not only on the mind but on the Soul. Not ‘Your Soul’ or ‘My Soul’; Soul is True You, True Me. Body conscious, in the sense of conscious of the subtle energy and power running through the physical body, is thus OK. We have to deal with – and benefit from – the way mind, body and spirit interact on each other. Body consciousness, in the sense of my consciousness of my Self as a physical body, is not OK and not true. Big mistake. For today’s Magic Minute, meditate your sense of Self into the metaphysical, that infinitesimal point of light in the forehead, where, guess what, ancient wisdom puts the Third Eye. That’s where it all begins to fall into place. The Ecology of the Soul is the culmination of a lifetime of study and practice of hatha yoga and Raj Yoga. Aidan studied with BKS Iyengar, and was a dedicated member of the Brahma Kumaris, teachers of Raja Yoga, during his 20s. 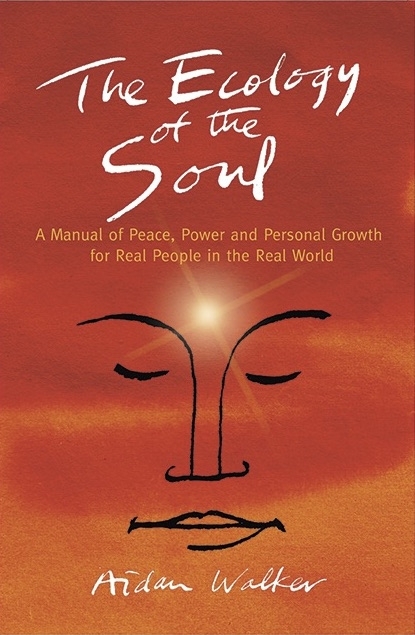 The basic understanding of the Soul and God is pure Raja Yoga, but it is the 'ecology' principle that drives the system's emphasis on balancing our spiritual powers. We return to our natural state of happiness, contentment, peace – and power. This entry was posted in Magic Minutes and tagged body, ch'i, chakra, consciousness, Magic Minute, meditate, non-physical, pran, soul, spiritual, third eye. Bookmark the permalink.